What's Up with Igbo Men and Black Shirts? An Igbo man will always tell you that black never goes out of season; neither does it clash with other colours. Black can be paired with other colours. Black can be paired with almost any colour of trousers and shoe. Obindigbo Magazine recently visited one of the clothing lines in Onitsha Main Market to ask fashion merchants what is the trends saying concerning Igbo men and the most friendly fashion colour – black as well as tips on how best to wear black shirts. When Igbo combine black shirts and a neutral colour like grey, for instance, they create a classy and formal appearance even in cultural functions and events. When Igbo men wear black shirts on light colours, they create a contrast look, but many Igbo men dislike white trousers with a blck shirt. Instead, the prefer to go for light blue, milk coloured or pale coloured trousers. Igbo men with a lot of confidence who like high intensity go for black shirts and bright yellow or orange colours. Black on black is the most traditional way Igbos wear black shirts. It signifies universality. 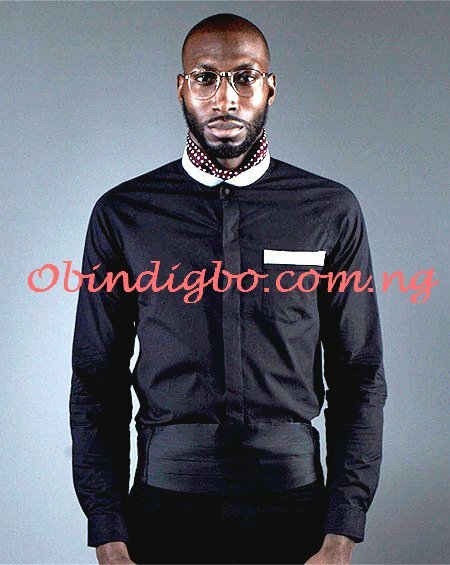 In contemporary times, an Igbo man a black shirt and a white suite will look brilliant in a white-and-black ball or party. The best bet for wearing black shirt is to combine it with a black trousers, black shoes and belt. Light grey trousers or sweaters on black shirts is awesome. A silver-coloured tie, when added to a black shirt, grey trousers, black shoe and belt will look great. Other things that readily go with black shirts are; red tie, red caps, red or grey sweaters, blue or black jeans.